You never have to have bruised, sore or aching knees again simply by using this fantastic lightweight foam knee pad for all of your household tasks. 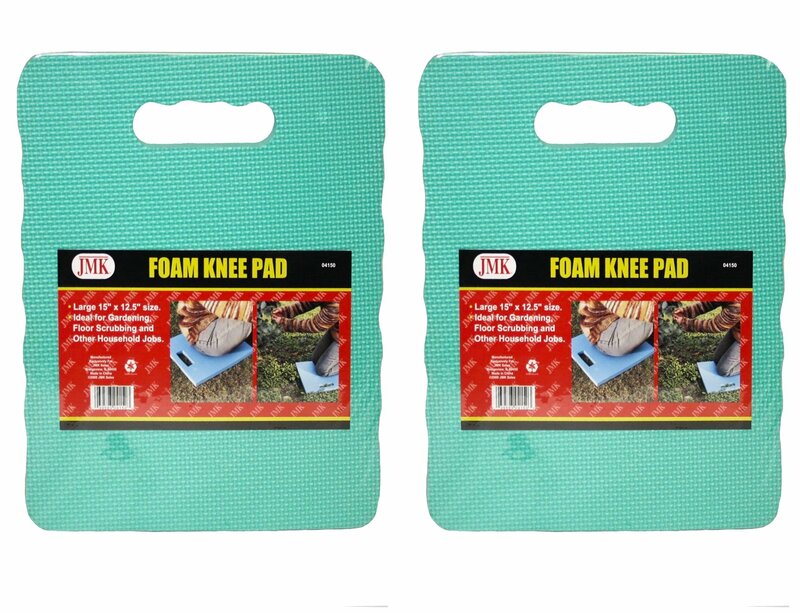 Whether you are gardening, scrubbing the floor, organizing, or cleaning just slide this soft durable foam pad under your knees and protect yourself from injury. It has a built in, cut out carrying handle which also allows it to be hung up for easy storage. It's thick and water resistant enough that it can be used to sit on outdoors as well keeping you dry and comfortable while reaching under shrubs or planting allowing you versatility of position to work more comfortably!